Weekend Srimad Bhagavatam Classes ~ The Toronto Hare Krishna Temple! 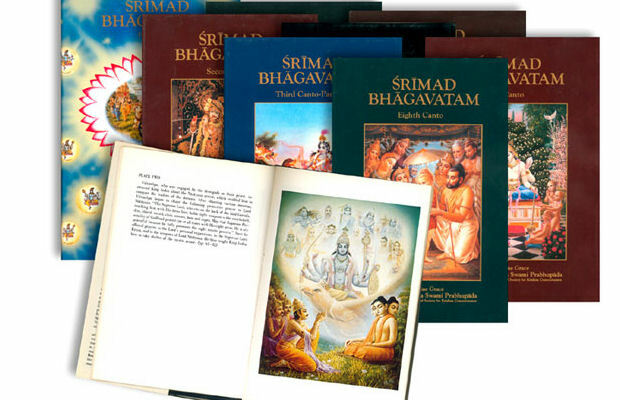 Srimad Bhagavatam is described as the ripened fruit of all Vedic knowledge. Reading and discussing Srimad Bhagavatam is a core practice amongst Hare Krishnas (bhakti-yogis). 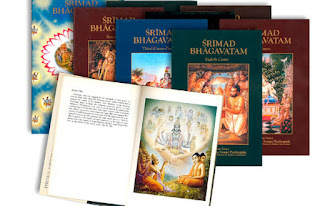 By the regular reading and discussing of the Srimad Bhagavatam, one not only acquires deep spiritual realizations but also overcomes several disturbances to ones inner happiness and overall success in life. We invite you to special interactive classes on the Srimad Bhagavatam every weekend (Saturday and Sunday). While Bhagavtam classes actually take place every day of the week, we specially invite you to join us on the weekends. Classes take place on Saturday and Sunday mornings and start at around 7:30am and go until about 8:45am. You are most welcome to join us for these special morning classes! “The meaning of the Vedānta-sūtra is present in Śrīmad-Bhāgavatam. The full purport of the Mahābhārata is also there. The commentary of the Brahma-gāyatrī is also there and fully expanded with all Vedic knowledge. Śrīmad-Bhāgavatam is the supreme Purāṇa, and it was compiled by the Supreme Personality of Godhead in His incarnation as Vyāsadeva. There are twelve cantos, 335 chapters and eighteen thousand verses."